With nearly 25% of Pakistan’s exports going to the EU and the UK making up the largest share within that, Brexit was a “tremendous loss” for Pakistan, Mr Khan said. Not least because of the shared language and colonial history, Britain ‘knew’ Pakistan better than any other EU member country, he said. On top of that, the UK’s population of Pakistani descent is the third largest in the world and send back some £2 billion a year in remittances – now greatly reduced due to the plunge in the dollar value of sterling. Khan is now pushing UK International Trade Secretary Liam Fox for a series of business-to-business annual meetings in Karachi, Lahore, Manchester and Leeds. 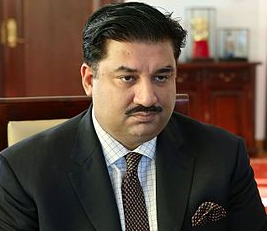 Khurram Dastgir Khan is Pakistan’s Federal Minister for Commerce. He spoke to EURACTIV’s Matthew Tempest. Why are you in Brussels today? Because for many years the EU and Pakistan have reached an understanding on promoting democracy and human rights. On that account, the EU in 2013, through all its institutions – the Commission, the Council, the Parliament – agreed to extend, along with nine other countries, Pakistan’s ‘special incentive’ for good governance and sustainable development. Its short name is GSP-Plus. [General System of Preferences]. But I think the real name is important, because it gives the sense of why this facility has been given to my country. It’s precisely to encourage better implementation of the rights under Pakistan’s constitution and our international obligations on human rights, children’s rights and minority rights. It has happened. Pakistan’s exports to the European Union have risen 37% in the past 34 months on which numbers are available. But I’m very delighted to say the reverse is also true: the EU’s exports to Pakistan have risen 14%. Which means that this trade concession/liberalisation is having the desired effect of mutually benefiting both sides. And I think out of 28 countries in the EU, 22 countries’ exports to Pakistan have risen. In many cases, although the numbers are very small, we are also seeing the trade beginning to happen in many countries in Eastern Europe with which we didn’t use to have any trade. As commerce minister, how do you see Brexit? My immediate concern I’ll share with you. When we analysed the situation – first of all, we had to do a Google search for ‘Article 50’, what it meant and what it was – our immediate concern was that Britain might go into recession. And since it is within the EU, one of our biggest destinations for exports, we thought our exports would suffer. 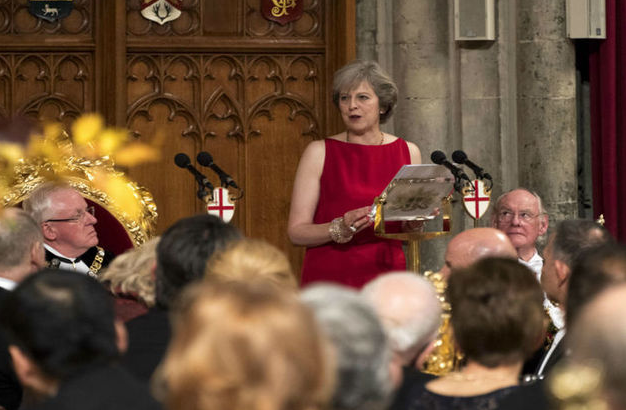 Then, of course, there was also the question of the depreciation of the pound sterling, having the same effect, making our exports more expensive in Britain – that was our concern. Luckily, at least on the recession front, that scenario hasn’t happened. So exports are more or less holding – there is some degree of decline this year, but we are hoping to correct it as time goes by. Our concern has been, and we have been in communication with the new Department of International Trade on this, what does Brexit mean for the UK-Pakistan trade relationship? Immediately after Brexit happened (well, the referendum happened, Brexit hasn’t happened yet), I got endless queries from exporters about GSP-Plus, and whether it’s going to go on. So we have been able to give them some comfort that we expect at least until March 2019, that GSP-Plus will persist, and be available. There are in fact now discussions with the Department of International Trade. It our suggestion to them that perhaps the simplest way to go forward is for the UK to adopt a GSP-Plus like facility and allow it to run until the EU facility runs [out], 31 December 2023. What it does is, since it doesn’t require any changes in the current UK regime, that the UK government and Pakistan are used to, this will be the simplest and most time-efficient way of going about it. And once we are agreed on that, then perhaps in the later part of 2019 or 2020, we can begin negotiation on a longer-term agreement. It would be a free trade agreement. For the foreseeable future, we would like a GSP-Plus-like facility, then in two or three years time, when the UK government has clarified its thinking on where it wants to go, and how speedily it wants to move, then we’ll be ready to negotiate a longer-term permanent agreement. Did I hear you say you’d met Commissioner Malmström, the EU Trade Commissioner, and you were wanting to meet Liam Fox, the UK International Trade Secretary? I was in contact with Dr Fox immediately. I wrote to him immediately after he took office, suggested precisely what I have told you and since then we’ve heard positive feedback. I have not met him, but my permanent secretary was in London back in September to hold initial talks. So we are quite hopeful that we will have a positive short-term conclusion of our trading arrangements. And then of course that will provide us with the breathing space to prepare for a more longer and tougher negotiation in two years time. I wondered, from Pakistan’s point of view, if Britain leaving the EU meant you were losing your ‘best friend’ in the EU, because of the shared history of empire and Commonwealth? Britain must ‘know’ Pakistan better than any other EU member? Oh yes. Britain’s presence in the European Union was a great source of support for us because of our historical ties. And very positive, I must give credit to the government of David Cameron, that came into office in 2010, of providing us the maximum possible support on negotiating the GSF-Plus. And so we could count on Britain to speak for us, and our relationship has now deepened in many context in Pakistan. Britain has been a tremendous supporter of education here, giving us really good results particularly in Punjab province. So the relationship has deepened enough that we could trust Britain to be our interlocutor in the EU. So that is perhaps, I think, in the EU-context, in our assessment, a tremendous loss for us. Our principal interlocutor. It’s not just history, you know, it’s also language. With our British colleagues, it’s always been very easy to express ourselves, clearly and formally. So, that is something we are preparing for. That was also the subtext of my current visit to Brussels is to open up dialogue with MEPs of many more countries. And part of the job that was being done for us, by the United Kingdom, I’m having to come and do it myself. For our readers who don’t know, what are Pakistan’s main exports to the EU? It’s principally textiles. Mainly made-up textiles, so home textiles, and garments. In the UK, but also now Germany and Spain, home textiles are coming to France also, so that’s one sector. Another sector that’s grown really well is leather, and leather footwear. We also export a lot of semi-finished leather, to European producers of very high value products. Also, we export sports goods. The football at the last World Cup was made in Pakistan. We increasingly now in niche sports goods, like judo outfits and motorbike uniforms. We also do a lot of cutlery, and surgical goods – mainly to Germany. What we’re hoping in the next few years is to diversify into agri-based products – food and dairy. Recently a Dutch company bought out a major Pakistan dairy company. And what I find very fruitful is European companies come to invest in Pakistan, to export to the immediate region, to use Pakistan as a base to export to the Middle East, too, which is very near to Pakistan and considerably reduces shipping time. There’s such a huge Pakistani ‘diaspora’, or British Pakistanis, I wondered if the fall in the pound had hurt remittances? It has. Because we calculate our remittances in US dollars. So the pound’s decline, that is a concern, purely on an accounting basis. But since the largest portion of remittances come from the Middle East, the UK is a significant, but smaller portion. We have been able to weather that. Our concern is more how the UK economy will absorb Brexit. Because it really hasn’t happened yet. A lot of speculation, a lot of movement in the markets, but it hasn’t happened. Recently we received visits from Boris Johnson, the Foreign Secretary, and the parliamentary secretary for the Foreign Office was there too. We are now trying to forge a relationship to bring the business of both countries together. Both governments are trying to bring the sectors together. Are you rivals with India in this respect, fighting for the first Brexit trade deal? No. I think for us it’s enough work to hold our own. We don’t really calculate Indian issues with the United Kingdom. We are going to make an effort. A serious effort. We’ll probably have the first event in the second-half of 2017 to have a business-to-business event, and then meet on a regular basis in cities in the UK and Pakistan. Not just Islamabad and London, but also in Manchester and Lahore, and Leeds and Karachi. Different industries are based in different areas. We have no trade disputes with the UK. In fact, I want to mention here the UK government has opened a business office in Karachi, just over a year ago. You sound cautiously optimistic about Brexit. I am. I am. The only reason caution creeps in was the consolidation we have achieved in Pakistan still requires some more months for it to really solidify on the ground. Cautious but optimistic that Pakistan – having weathered the terrorist attacks of many years – is now poised to grow and start realising its potential. EXCLUSIVE/ EU and Asian diplomats have poured cold water on the idea that developing economies of the ASEAN bloc are queuing up to do trade deals with a post-EU UK – a major policy plank of the British Brexit ministers. International trade will exist with or without Brussels, so what is the point of being in the EU ? I guess that’s where we should all agree.